Things are tough all over in much of Alberta, with its two key industries - energy and agriculture - on the ropes. Many Albertans are asking themselves if anyone knows how to turn the province's fortunes around. Key industries are slumping. Does anyone know how to turn things around? Rose Klatt came to Olds, Alta., from the Philippines to fulfil a dream to open her own cafe. Her restaurant, with its bright green walls and authentic Filipino cuisine, quickly became a popular spot to catch up on local events. But the bell above her door rarely rings these days. The severe economic downturn in the province is dragging down her small community, she said, and nobody seems to have the money to eat out. A year after taking ownership of the cafe in this town an hour's drive north of Calgary, Klatt said, she's barely making enough to stay open. "There's not so much excitement anymore because of the economy," she said, adding she can see her dream "going down the hole." She's not the only one. There's a lingering unease in Alberta as provincial election day approaches. Many voters remain unconvinced that any of the people running to be premier, or the four main parties they represent, can turn things around. Albertans cast their ballots on April 16. 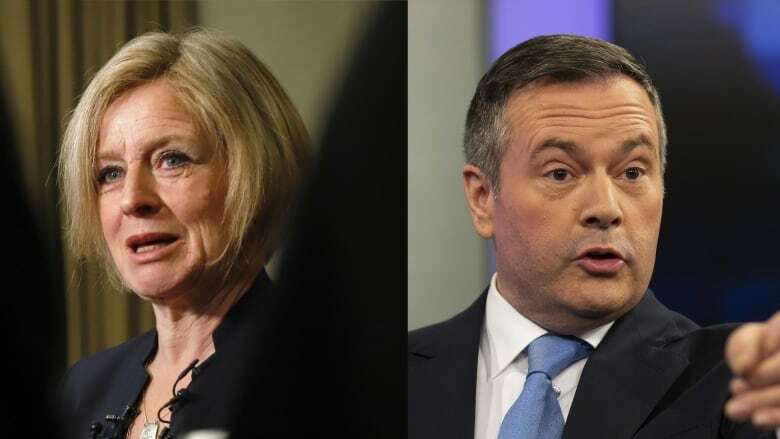 The campaign is winding down now, with the governing New Democrats under Rachel Notley running a distant second in most polls against the United Conservative Party under former federal cabinet minister Jason Kenney. The province's economy is still limping after years of economic setbacks. Alberta's oilpatch — the biggest industry in the province — is selling its product below the world price, while the pipeline projects that were supposed to open up new markets have hit one regulatory wall after another. A sharp drop in the world price of oil in 2014 led to layoffs and the collapse of some companies in Alberta's energy sector. Months of delays to the Trans Mountain pipeline expansion project have ramped up the sense of uncertainty in the oilpatch while prolonging a transportation bottleneck between the oilsands and refineries. This is a "polarizing" election centred on the economy, said Lori Williams, a political science professor at Mount Royal University in Calgary. And as the people of Olds know too well, the troubles of the oilpatch are never confined to it. "This is Alberta, this is what we run off of," said Amber Supernant, another small business owner in Olds. She knows the turmoil the oil sector is facing firsthand; her father, an energy sector worker, was left jobless for years as the economy soured. Job losses have been staggering. Alberta lost almost 17,000 jobs in December alone. The national unemployment rate is 5.8 per cent right now, while Alberta's is slowly recovering at 6.4 per cent, down from seven per cent a few months ago. Still, in rural areas where pipelines and oil offer some of the only work available, the job numbers are far worse. Edson is a tiny town built around the Yellowhead Highway leading west to Jasper. For a century it thrived on coal, lumber and other natural resources before following the oil money. It's now home to a section of the Trans Mountain pipeline. The plan to expand that pipeline to the B.C. coast lured hundreds of job-seekers to the community last summer. "There was a sense of positivity in the community that we haven't seen in a while," said Edson Mayor Kevin Zahara, who served as a press secretary in the province's former Progressive Conservative government. Then the hammer fell in August, 2018, when a Federal Court of Appeal ruling quashed the $9.3-billion pipeline expansion project. The hotels emptied. The trailer park was desolate. The yard that supplied new pipeline materials to the Trans Mountain project, once bustling with activity, is quiet now. "It was like somebody just took a switch and turned it off and the dark clouds reappeared," Zahara said. Edson's unemployment rate is 10.1 per cent — almost double the provincial average. NDP Premier Rachel Notley has struggled to get shovels in the ground for the Trans Mountain expansion project. At one point she was seen as an ally of Prime Minister Justin Trudeau for getting on board with the federal climate plan that culminated in this month's implementation of a tax on carbon in several provinces. 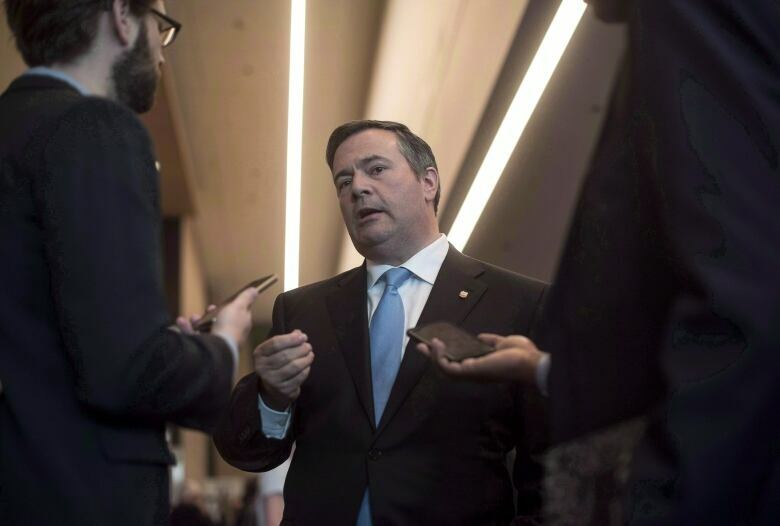 The platform of her opponent, Jason Kenney of the United Conservative Party, proposes reducing the deficit by freezing spending. Many experts warn the cuts could come at the expense of things like social programs. And while the NDP and UCP platforms are quite different, they have one thing in common — many seem unconvinced that either plan can restore the province's boom times. "No policy of any Alberta government can change things," Mark Jaccard of Simon Fraser University's School of Resource and Environmental Management told the Canadian Press. Alberta's energy sector tends to get the most attention from politicians and the media — but it's not the only industry hurting. Key agrifood industries are also struggling with uncertainty in their trading arrangements. "We still think we're getting the short end of the straw here," said John Guelly, chair of the Alberta Canola Producers. China recently started blocking shipments of Canadian canola seed — almost certainly the fallout of a worsening diplomatic relationship with Beijing. China buys 40 per cent of Canada's crop, making it a difficult market to replace. 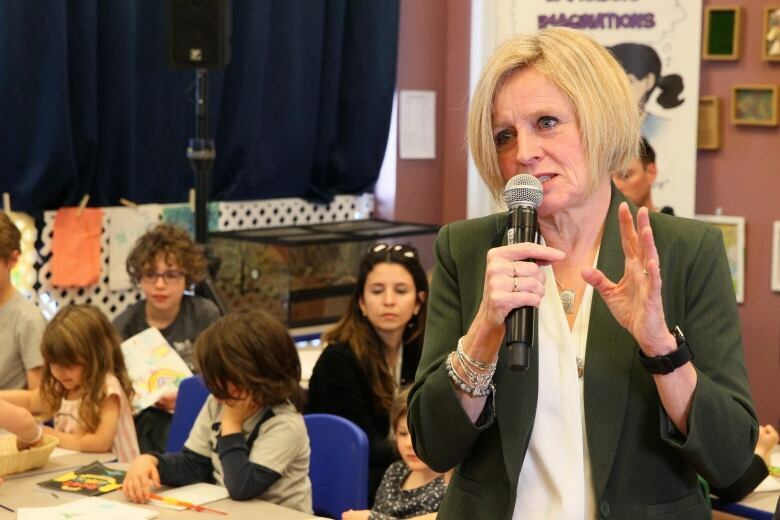 Notley's move to lease railcars to transport oil out of the province is a good example of how the separate plights of two key industries are clashing in Alberta, since farmers depend on freight rail to move their crops. "We only have so many rail lines and we have to share them," Guelly said. Guelly — who belongs to the third generation of his family running the farm in Westlock, about an hour northwest of Edmonton — said he's tried to raise agricultural issues with the provincial government for years, to no avail. All of which explains why the spectre of western alienation is resurfacing now, Williams said — with many Albertans spoiling for a fight with Ottawa. With less than a week to go to voting day, many Albertans are struggling with their options. And many are wondering if the province's problems right now are too big for a premier to fix.